The Mars Society convened the 18th Annual International Mars Society Convention at the Catholic University of America in Washington, D.C. from August 13 - 16, 2015. 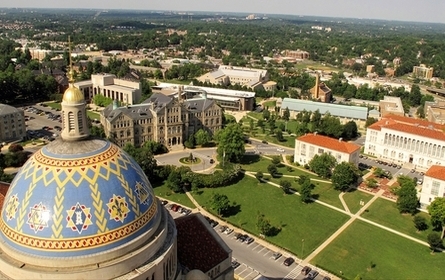 All conference sessions were held in the Edward J. Pryzbyla University Center (better known as "The Pryz") on the Catholic U. campus. The four-day conference brought together prominent experts, scientists, policymakers, government officials, space advocates and journalists to discuss the latest news on Mars exploration and planning for a human mission to the Red Planet. To view all of the videos from the 2015 Mars Society convention, please click here. To view the list of scheduled plenary speakers for the 2015 convention, please click here.